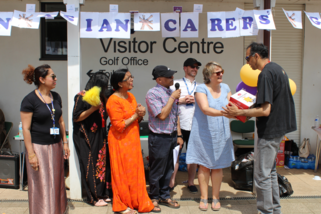 July has been a busy month starting off on 1 July with the Mayor’s Community Weekend with the Carers' Trust’s Milan Group hosting a fabulous Picnic in Coventry with plenty of food, drink, dancing and a healthy eating competition. The event was attended by over 100 carers. 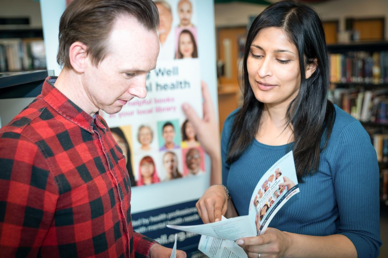 On 5 July, the library hosted its mental wellbeing event supporting a host of agencies across Coventry. And on 18 July Coventry and Warwickshire Clinical Commissioning Group hosted their Annual AGM with a particular session of carers. 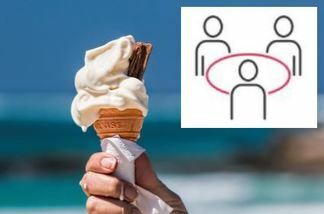 The last month has seen some of the highest temperatures in decades and with the weather expected to continue we know that this can have an impact on people's health, particularly those who are elderly, have a long term health condition or are seriously ill. We ask that everyone takes extra care of themselves at this time and keeps an extra eye on those who may need some extra support. Visit the website for some top tips. Since 2011 the Alzheimer’s Roadshow has been touring the country and has reached over 205,000 people. On 5 August it has been invited to Coventry as part of the HSBC UK Let's Ride Coventry event, which is Coventry’s festival of cycling and a family day out with music, food, demonstrations and challenges. Staff from the Coventry office will be on hand to talk to people who want to know a little more about dementia, are worried about their memory or carers/people already living with the condition. Look out for our colourful gazebo! Coventry Libraries have launched a new collection of books called Reading Well for Mental Health. This special collection of books has been developed nationally by The Reading Agency in partnership with a number of health professionals and support organisations. The collection is made up of 37 titles and provides help with dealing with difficult feelings and experiences including bereavement and anger, support for specific conditions including depression, anxiety and Obsessive Compulsive Disorder (OCD), as well as personal stories and memoirs. Books in this collection also focus on approaches such as mindfulness and CBT. Books can accessed directly from libraries in Coventry. If you would like help finding the right book for you ask a friendly member of staff. Coventry Libraries are pleased to announce that from Wed 1 August they will be holding new Sharing Memories sessions at Central Library. These free sessions are open to all and provide the chance to chat and enjoy memory evoking pictures and items. The sessions are also welcoming for those with dementia and specialised Reading Well for Dementia resources will be on hand as well as information about other local support and activities. The sessions will take place on the first Wednesday of the month 2:00pm-3:00pm.